CanAssist working to improve the Hope for Youth School. CanAssist trustee, Nancy Grew, is visiting project sites in Uganda this week and today sent this photo of the new school classroom (first of four) that is under construction at the Hope for Youth School near Mukono. 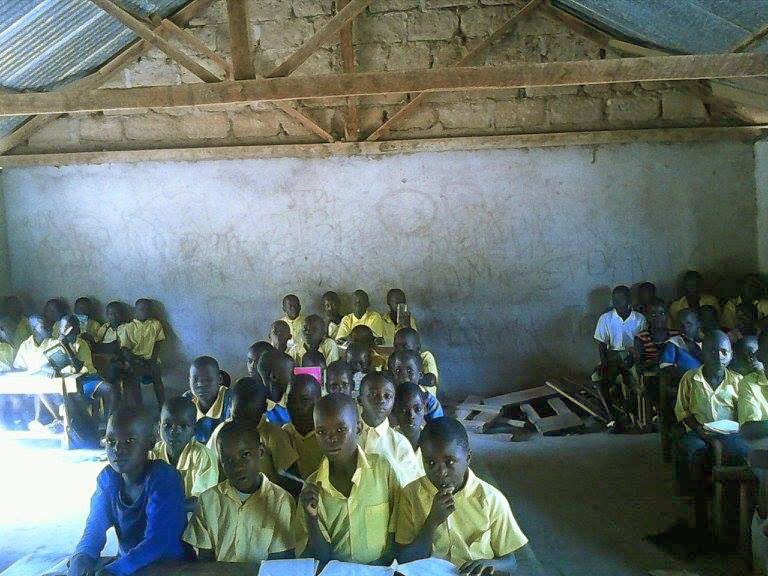 This wonderful school has been one that CanAssist has helped over the years in many ways but, as you can see from the photo on the lower right, the classrooms were becoming dilapidated and beyond use. The new permanent classrooms will be an amazing improvement for the school and provide a secure and sustainable school for the community. The first of four permanent classrooms at Hope for Youth School that will replace the old wooden structure that has served the school for several years but is now beyond repair. Photos taken on February 28, 2018 by Nancy Grew, CanAssist trustee. I have a particular fondness for this school, having visited them several time in the past ten years. I have watched many of their students grow from children into young adults. I was delighted in 2016 to take a group of CanAssist supporters, including my granddaughter, to the school and visited them in early 2017 as well. In early 2016 I was happy to introduce my granddaughter to Christopher, Edward and other students at the Hope for Youth School. One of the unique things about CanAssist as a charitable organization is that we don’t just send money. We establish friendships and visit the project schools and communities. This not only helps to assure donors that their monies are being spent as intended but it shows that we are interested in their wellbeing with a personal connection. My life has certainly been enriched beyond anything I can express by the person to person links I have been privileged to make over the years as I have visited many communities in East Africa. I do feel like I am at home with friends when I go there. I am sure that Nancy will come back to Canada with the same intense satisfaction that the time and effort that we have put into CanAssist work is well worth it both for the communities we serve but also for our own personal growth. Below is a video of the students doing a traditional dance for my entertainment when I visited them in 2013. The main boy in the dance is Edward who, along it’s his brother, Christopher, I have watched grow from young lads into young men. I was touched today when Nancy sent a photo of Edward who made a point of coming to greet her to send a special hello and remembrance to me. The school will be greatly benefitted by this 2018 initiative and CanAssist is grateful for the generous donation from David Kay to kick-start this project. Additional classrooms will be added over the next many months. The cost of adding a classroom like the one in the photo above is about $10,000 to $12,000 dollars – a bargain when compared wo what it would cost to do the same in Canada. In addition to providing the permanent structure for the school, the construction and materials acquired locally give employment opportunities to local craftsmen. Donations to CanAssist through the Canada Helps link on the CanAssist web page or by clicking HERE can be allocated to this project to keep it moving ahead. Last year, while on a safari with other CanAssist supporters, Kingston teacher Nancy Grew was drawn to the small community of Ramula in Siaya District of Kenya. In addition to several others, the safari group visited two schools there, St Catherine Primary School and the Ramula District Secondary School, both having been beneficiaries of CanAssist support in the past. Nancy is also a dedicated basketball fan and had brought basketballs and school supplies donated by Truedell Public School and a few uniforms from Kingston Impact for the kids at the schools. She was astounded to find that they had heard little about basketball and did not know how to play the game. Fortunately, one of the teachers at St Catherine school was keen to learn and over the next while he coordinated with another coach in the district to start to introduce the sport to the Ramula community. Knowing that sport was a great way to develop teamwork, discipline, strategic planning and physical fitness in students, Nancy decided to encourage the community to develop a basketball programme for students in the district. She corresponded with coach Donald and was supportive, both financially and through encouragement, of a Ramula district basketball initiative. Students of the very rural St Catherine school were joined by others in nearby communities and formed a team. Nancy learned that they had the opportunity to participate in a tournament in Kisumu, about 90 minutes away from “the rural”. She wished that she could go to see this game and to encourage the development of basketball in the district, but thought that was a pipe dream. But pipe dreams can become reality. Nancy applied for a brief leave of absence from her teaching position with the Limestone District School Board and was grateful and delighted that it was approved – for five working days. This gave her a week to make the 14,000 km trek to Kisumu to see her team play in the tournament, have a brief visit to the community, and return home. 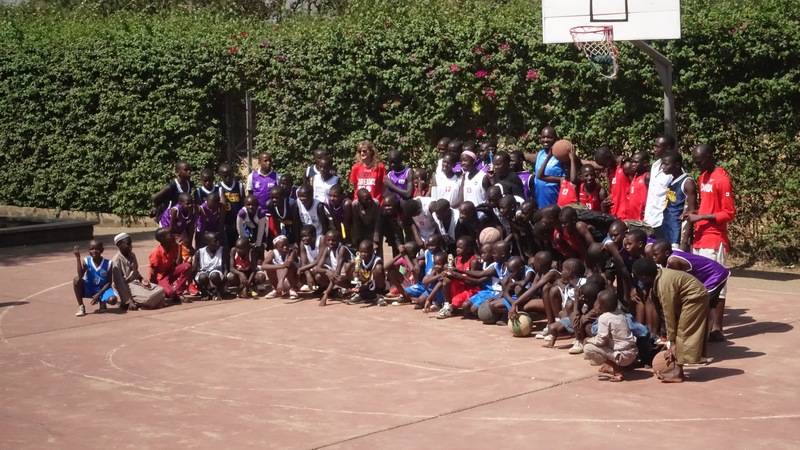 I was planning a trip to review CanAssist projects in Kenya and Uganda so I arranged for part of my safari to overlap to include the basketball tournament, too. On Saturday January 14, we had the pleasure of watching these kids compete. The tournament was similar to any junior basketball tournament in Canada. It was held on an outdoor court at a Muslim school in multicultural Kisumu. The temperature in the sunshine on the court was about 32 degrees C. Despite this, the kids were energetic and motivated. There were five local teams and the games were for half the usual regulation time. 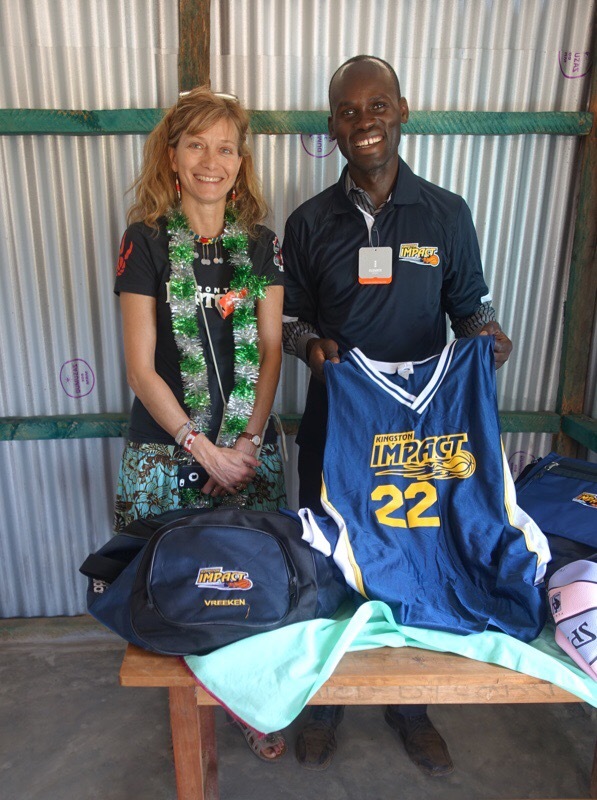 The Ramula district team was entered with the name “Kingston” and our team sported donated Kingston Impact uniforms. Balls used for the games had been supplied by the Lakers Basketball Association of Kingston. I know little about basketball but Nancy was impressed by the level of skill of these players, on all the teams. We were also pleased to see that one of the teams was made up of teenage girls – a reflection that girls and women in this country are being encouraged, at least in some circles, to be empowered to have equal opportunities. We were delighted to cheer on the Kingston team and watch them win their first two games. Then they won the semi final game and advanced to the finals. Prior to the final game, the kids were all given a big lunch. The outcome? The Kingston team won the tournament, collecting a little trophy to take back to the rural Siaya District community. What does this all prove? Anything is possible. These rural kids, through hard work and perseverance were able to learn enough in a few months to perform competitively. Nancy, also with determination and support was able to attend the tournament, half a world away. She is now even more motivated to continue to encourage the Ramula community by helping to set up a local league at two schools in the next year. She will look for support to build two sports pads that can be used in the community for basketball and other outdoor sports activities. She hopes that the lessons learned through participation in sports activities will benefit the kids throughout their lives. Stay tuned to see how this story ends. Parts of this story appeared in the Kingston Whig Standard on Thursday January 26, 2012. CanAssist tries to do no harm. Primum non nocere – first of all, do no harm” was a dictum that I learned in medical school and always tried to apply in day to day practice. I remind myself of this principle, as well, in my role as a trustee of the CanAssist African Relief Trust, an African charity that has consumed much of my energy over the last few years. There are two schools of thought about providing development aid to some struggling parts of the world. Peter Singer puts forth the argument that we are morally obliged to help. If we see someone straining to survive and helping them would be of little significant consequence to our own well-being then we must. Most of us would not hesitate to wade into a shallow pool to save a drowning child, even if it meant getting our new leather shoes wet and dirty. Taken more broadly, giving up the cost of a night out at the movies to help vulnerable children in Africa follows the same moral responsibility. A life saved is a life saved, whether in a Canadian water park or a Ugandan village. Other writers wonder whether some forms of developmental aid are doing more harm than good. A recent documentary, Poverty Inc, refers specifically to the tons of rice that poured into Haiti after their disaster in 2010. This aid was certainly helpful for crisis relief but it continued to flow into Haiti after the crisis was over. Free rice, bought from suppliers in the US and subsidized by the US government to provide “aid”, caused the farmers in Haiti who previously sold rice locally to go bankrupt. Who would pay for rice at the market when you can get it for free? This ongoing supply undermined the local economy and increased dependency while American suppliers were being paid. There is a difference between humanitarian aid and ongoing developmental funding. This debate challenges me to think about what we do through the CanAssist African Relief Trust. How can we satisfy our moral obligation to help struggling communities but not create or foster dependency? Like the primum non nocere dictum, it is partly what we don’t do that is important. First of all, CanAssist does not send goods; we send money. We don’t flood the East African market with materials purchased in Canada and shipped overseas at great cost. CanAssist does not deal with large multi-layered governmental departments but directly with individual schools, support groups and clinics. We don’t go to a community to promote our own agenda or ways of doing things. We let the community, school, health facility come to us with their ideas of what sustainable infrastructure we can fund that will improve their well-being. We don’t send unskilled volunteers to Africa in a “voluntourism” holiday to build a school or do other work that can be done more effectively by Africans. Our supporters don’t rob jobs from local carpenters and masons who need that work to pay for their family’s schooling or health needs. Instead, our funding stimulates the local economy, albeit in a small way. We don’t provide money for programming, staffing or other individual support. Once a donor starts paying for school fees for a young child, for example, the student becomes dependent on the benefactor’s help to finish secondary school, and beyond. It becomes difficult to stop this individual aid. And only one person benefits from this well-meaning generosity. CanAssist provides communities with funding for sanitation or clean water, or for classrooms and furnishings at rural schools. The materials are purchased locally and construction done by employing local workers, both men and women. If parents are healthy, better educated and have work available, they can earn the money to look after their children. CanAssist project funding, therefore, provides two benefits – temporary employment for local people and infrastructure improvement to the community, benefitting many rather than just one or two. CanAssist’s administrative expenses in Canada are about 5% of our budget. For some other development programmes, a large proportion of the claimed development funding stays in Canada, paying for salaries, airfares, office space, fax machines, hotels and computers. CanAssist does have obligatory administrative expenses like bank fees, Internet access, postage and liability insurance and some unavoidable professional fees we can not get pro bono. All other goods and services are purchased in Africa. We pay no Canadian salaries. We provide casual employment to some Africans to help implement our projects but this, too, provides initiative to them to work to earn their money. It is not a handout. We don’t fund one group indefinitely. CanAssist attempts to give a school or community a kick-start to help their development but ultimately they must figure out how to manage their own operational and infrastructure needs. The goal is self-sufficiency and this would not be attainable if the group could rely on CanAssist support indefinitely. 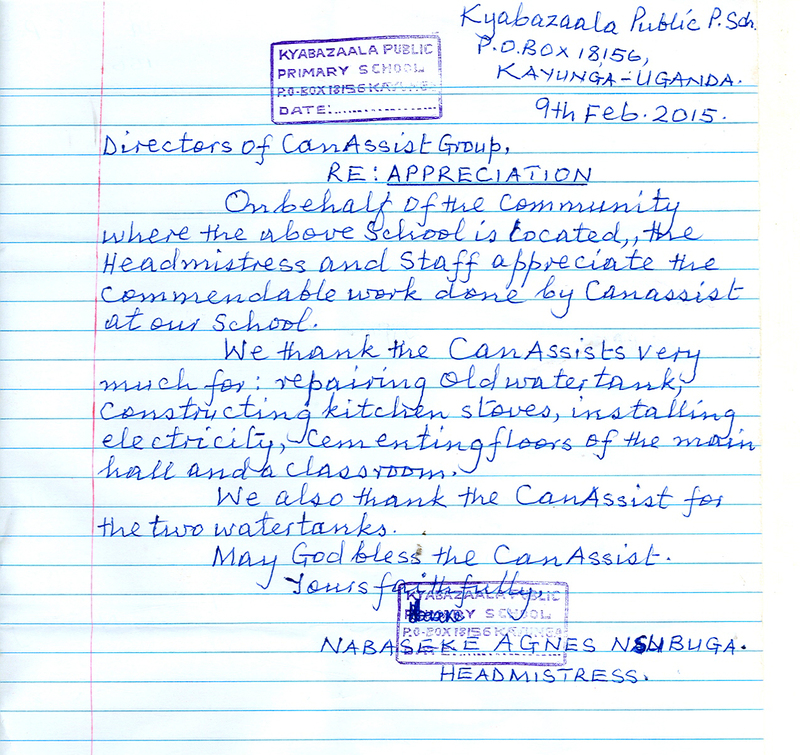 For these reasons, I am convinced that that CanAssist can continue to provide help without harm African communities. We are grateful to our many generous donors who participate confidently in this mission with us – knowing that they can help without fostering dependency. I suspect that your family didn’t gather last month to celebrate World Toilet Day. You would have visited a toilet, however, likely without acknowledging that it was actually a luxury that many in the world don’t have. Try to imagine, next time you flush, what it would be like to live in a community where no sanitation facilities exist. Access to improved sanitation is something that we take for granted. In Canada, nearly all the population has access to some sort of private sanitation facility. I say “nearly” since, sadly, there are still some aboriginal communities who still struggle to have access to clean water and sanitation – hopefully something that our new federal government will finally address. In cooperation with several schools and communities in East Africa, the Kingston-based, CanAssist African Relief Trust continues to help improve access to toilets and clean water in Kenya, Uganda and Tanzania. It is sometimes a hard sell to donors. Toilets don’t seem to have any charismatic appeal. But they are an easily-achievable improvement to well-being that can reduce disease, cut health care costs, give some dignity, protect women and girls from assault and save lives. Here are some United Nations figures posted recently in the Globe and Mail. Many other sources have similar figures. Improving sanitation definitely helps individuals and the society in which they live. 2.3 billion people worldwide do not have access to a private toilet and almost 1 billion of those defecate in the open. Over 300,000 young children’s lives could be saved each year by clean water and improved sanitation. Children will lose 272 million school days each year due to diarrheal illnesses. For every $1 invested in eliminating open defecation, there is a $6 economic return. In 2015, CanAssist installed clean water, toilets and washing facilities in ten communities and schools. These water and sanitation projects will serve at least 3000 people who otherwise would have had inadequate or no facilities. We almost always have a project related to sanitation being implemented. For example, CanAssist is about to start a new latrine project at the Kabuhinzi School on Ukerewe Island in Lake Victoria. Several volunteers from the Kingston area visit this community regularly with a medical caravan. Hopefully the addition of improved sanitation to this community will head off some of the bowel infections that occur without proper latrines. Prevention can be more efficient and effective than treatment once disease occurs. Students at the Kadok Secondary school line up to use the old inadequate toilets prior. Women and girls are particularly vulnerable when no sanitation facilities exist. Having to use open spaces and public fields when there is no toilet is not only degrading but it exposes women to the risk of assault. Teenage girls who have no school latrines miss classes for a few days every month because they have no place to tend to their menstrual sanitation needs. Sanitation also includes accessibility to appropriate washing facilities. 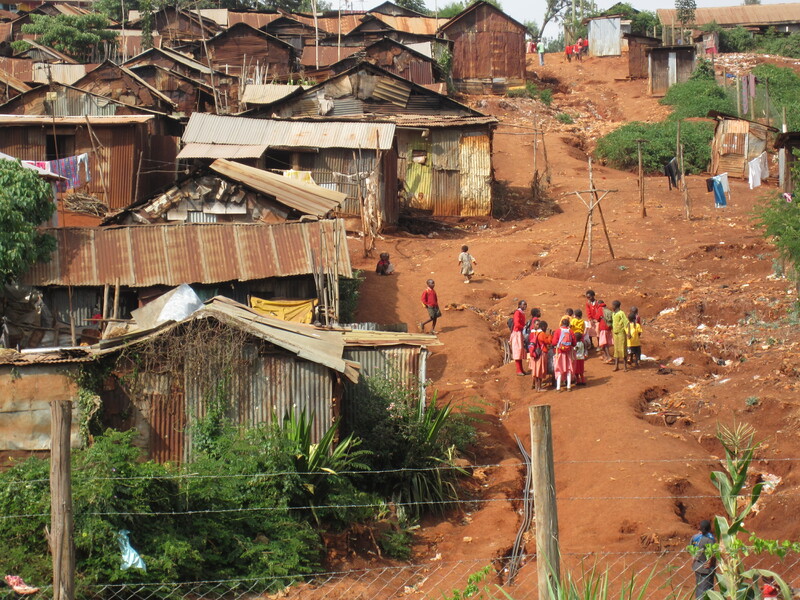 In many communities, there are no private area to wash or bathe. A hand washing opportunity near a latrine has been shown to be as essential and effective at preventing intestinal diseases as the toilet itself. CanAssist works to provide a source of clean water for schools along with latrines. This simple washing room has made a great difference to sanitation in the fishing village of Kamin Oningo, Kenya. In two communities we have also built washroom facilities with showers from water drawn from the lake to an elevated tank. In Osiri Village, where we just installed such facilities, Tobias Katete, the Beach Management Unit chairman reports “ The facility is in use and now attracting even our neighbours who also come to bathe. Within the first month we have had 750 showers taken. For many, it is the first time they have had a private place to wash. More people are now using the latrine instead of the bush as it is close to the washrooms. We expect this will reduce spread of cholera in the community.” The community has formed a local P.U.C. to collect 5 shillings (6 cents) for use of the showers. This money will be used for maintenance and any necessary repairs. We are also soon installing a hand-washing tap beside the latrine to complete the sanitation effort here. At Christmas and year-end, folks like to open their hearts and wallets to charities or to help others less fortunate. You might consider a tax-deductible gift to the CanAssist African Relief Trust. CanAssist pays no Canadian salaries or expenses and our Canadian administration expenses amount to about 5%. There will be no doubt that your donation to CanAssist will benefit East African men, women and children directly. When my grandson turned six, he decided that, instead of having kids bring him presents for his birthday party, he would have them bring a bit of money that he gave to me to take to Kenya to share with school kids there. I was able to buy a soccer ball and books for three schools with the money he collected. I also took a photo of him to each school. When I returned to one of the schools a year later the children asked me “How is Noah Budd?” They knew that he had helped them and were wanting to send greetings. Last year it took me by surprise when I was in the office of yet another school and saw Noah’s photo on the wall. I was delighted to make Noah aware that these children were grateful and appreciative of his generosity. 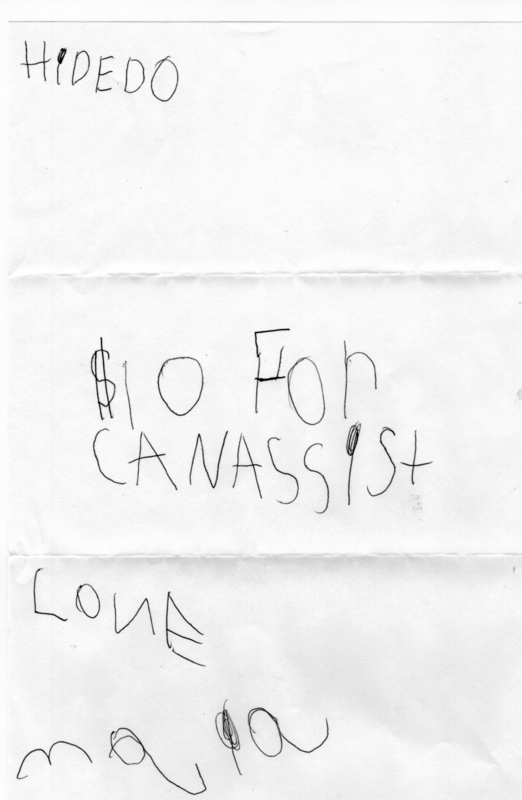 In May, Noah’s sister, Emma, sent me $10 of her birthday money and this afternoon, in the mail, I got a note and $10 fromtheir sister, Maia, who turns five today, money for the CanAssist African Relief Trust. I am so proud of these kids (and their parents) for sharing their good fortune with others. I have also gone to elementary schools where the kids have been very enthusiastic and motivated to help others in Africa. Ms Paré’s Grade 4-5 class at Glenburnie School gathered $1300 this spring and this money is now being put to use to construct school furnishings for the St Catherine School in Kenya. CanAssist has also had generous support from children at Sweet’s Corners School, Rideau Vista School, and Inglewood School in Toronto. These kids seem to just realize that with really very little effort and sacrifice on their part (mainly enthusiasm and motivating others) they can make a really significant difference to the lives of children in Africa. I am moved and proud of all of them for their altruism and I hope that their parents and neighbours and aunts and uncles can take a lesson from them and reach out to help others both at home and in the developing world – because we can assist. Kids at the Kanyala Little Stars School in Mbita Kenya sing a song for Noah Budd. It is always gratifying to feel that the work that we do through the CanAssist African Relief Trust is helping kids (and adults too) acquire education, health care and improved water and sanitation facilities. 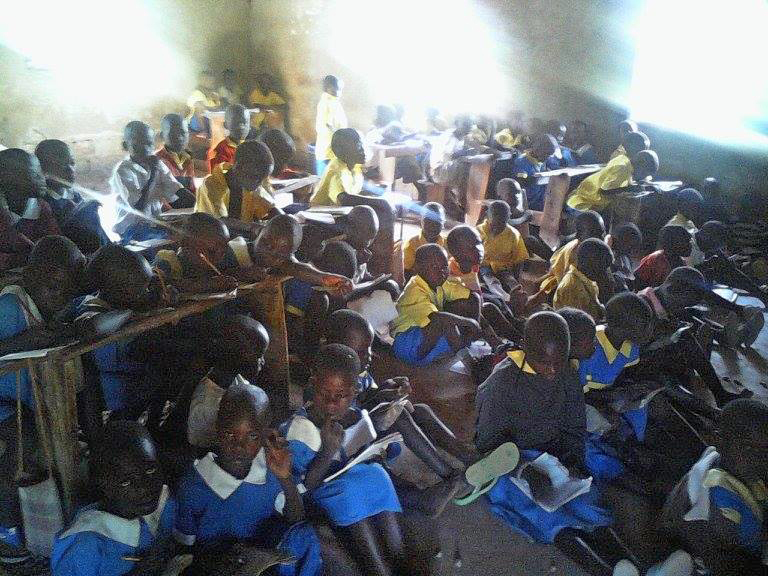 There are about 300 children at the Kyabazaala Elementary School in Uganda. CanAssist has had an ongoing association with that school, helping them in many ways. I have visited the school a few times and can vouch that they do need help. The classrooms are somewhat dilapidated and they have few resources. The teachers are paid a meagre salary by the government and often have to find places to live as their homes are not close by. When we first went to the school, they were getting water from a dirty pond shared with animals, to make the one cup of maize gruel served to the kids at noon, often their only meal of the day. Their toilets were abysmal. CanAssist helped by repairing their one water tank that had been damaged and installing new toilets. Other Canadian well-wishers visiting the school (including Hugh Langley, Ann Marie Van Raay and Elizabeth Muwonge) provided funding for cementing floors of some classrooms and between us all, we got electrical supply to the school. 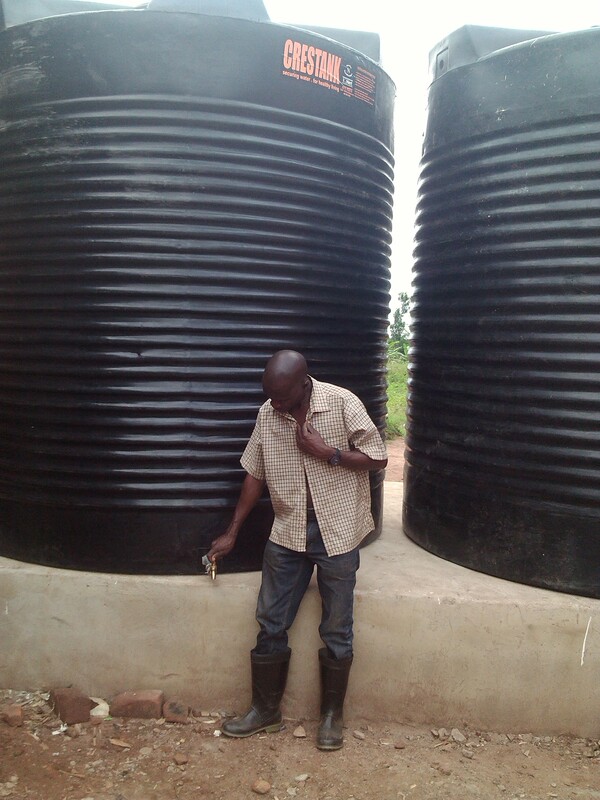 Last year, the Mayer Institute in Hamilton, through CanAssist, funded installation of two water tanks at the School. This will be a grand improvement to their access to water. This week, I received an email with a scanned letter of appreciation for the various ways we have helped. It was, indeed, heartwarming, to get this acknowledgement of our support and I want to share it with those who have, through donations to CanAssist, contributed to all the work we have done at the school. 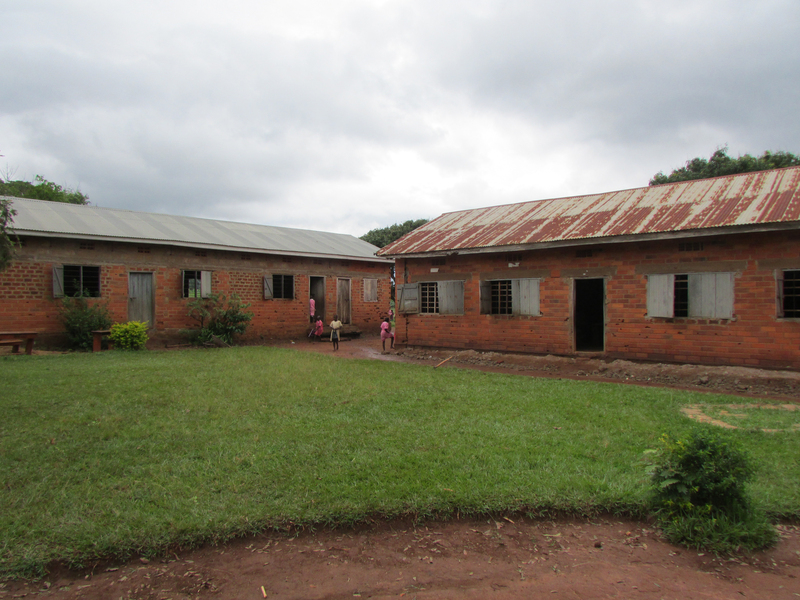 Our next project at the Kyabazaala Elementary School is to help them construct teachers’ quarters on the school property. This will help them to acquire and retain qualified teachers since the school will be able to offer some modest accommodation to the teachers whose salaries are woefully low. The community has already been accumulating locally-made bricks for this venture. The total cost for this six-room teachers’ quarters will be approximately $7000 CAN. CanAssist (and the school) will welcome any support dedicated to this project so we can start it soon. I put many hours a week into the CanAssist African Relief Trust. Sometimes I wonder why I do it. Today I received an email that reminded me. Last year CanAssist received an application from a development group in Kenya asking for support in providing desks for three schools in Rachuonyo District near Homa Bay. We did not know the schools or the AFORD development organization but thought that they presented an organized appeal and, in the past, we have found provision of school desks to be satisfying. Not only do the children of the schools receive furnishings to help them learn better, the desks are locally made which gives carpenters and suppliers some income. In December, I visited some elementary schools in Canada and they have donated about $1000 toward the $5000 needed to build 170 desks that will serve 450 students. Last month I asked the school for some photos of the school so we could help promote this project. Today I received these grainy photos taken recently at two of the schools. I will let them speak for themselves. I think you will agree that they are heartbreaking. Although the Kenyan Ministry of Education does offer “free” education to elementary school students, this is the quality in some of the remote districts. The Kamser Elementary School. Crowded conditions not conducive to learning. There are 450 students at two schools like this one and they are requesting 150 bench desks to accommodate the students, many of whom sit on the floor. 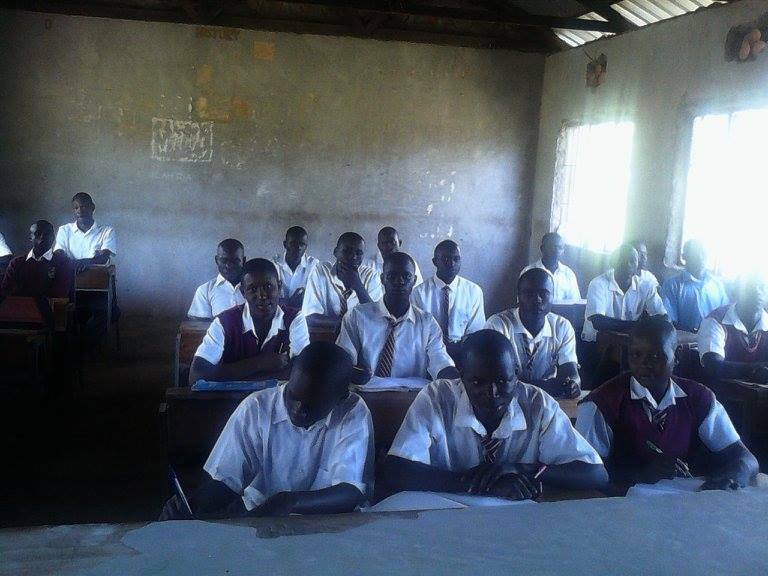 Students at the Kamser Secondary School. This school requests 20 individual desks. Peter Singer starts a recent TED talk with a dramatic video of a small child in China being knocked down by a car on the street. As she lies there, injured, three passers-by totally ignore her. The incident is reminiscent of the Good Samaritan story from the Bible, where a priest and a Levite ignore the plight of the injured traveler on the road before the Samaritan stops to help. Singer asks the audience – “How many of you would have stopped to help?” Not surprisingly, most of the hands go up. 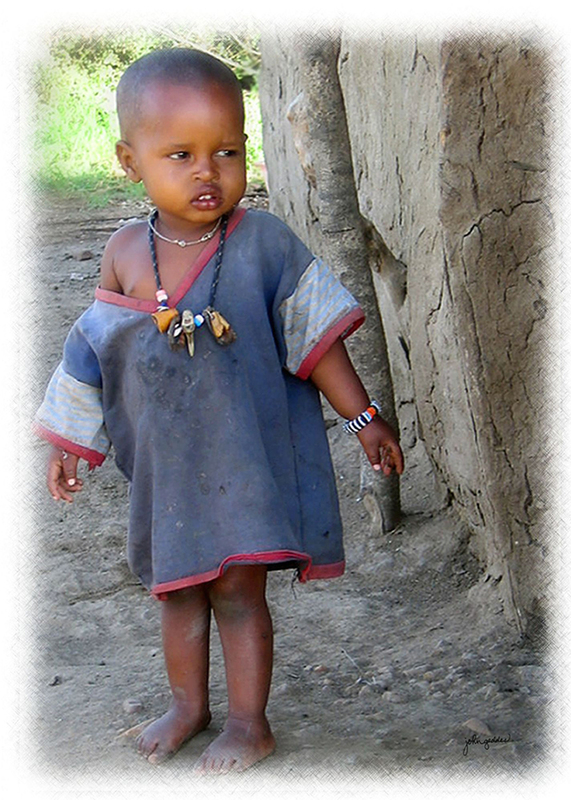 African Child – can you overlook her needs? Singer is an Australian philosopher and humanist who writes and speaks out about many ethical issues including poverty and animal rights. In 2009, he wrote a book called “The Life You Can Save”. In the book he encourages readers to commit to helping developing communities with a small portion of their income. If you can afford to pay $2.00 for a bottle of water that is free from the tap, do you not have money to spare – to share, in fact, with others who are living without many of the necessities of life that we take for granted? His message is not a guilt trip. He encourages us to enjoy the fruits of our labours and our good fortune at living in a community where there is law and order, fresh water, social responsibility and enough food but to share a portion of that with others who must live without those amenities. We are constantly bombarded in the media with photos of children in North America who have perished in the natural (or unnatural) disasters like the recent tornado in Oklahoma City or the bombing at the Boston Marathon. Our hearts go out to the families of these children and we feel sad and that these deaths seem unfair. These are a very few children whose stories touch us because they are in communities like ours. But what about the mothers of the 19,000 children who die in the developing world every day from preventable poverty-related problems? Do we give them much thought? Do we pour money into the developing world to help these 19,000 like we do to help families of the few North American families touched by tragedy? Think about this for a minute. It is sobering. 19,000 per day. The CanAssist African Relief Trust is attempting to so something, however small to help these families in East Africa. Rather than pick a few children for special attention, CanAssist funds community infrastructure projects like school classrooms, water and sanitation improvements, food security through local agriculture and health care facilities. We have funded around $300,000 in projects since 2008. Our Canadian community helping communities in Africa. 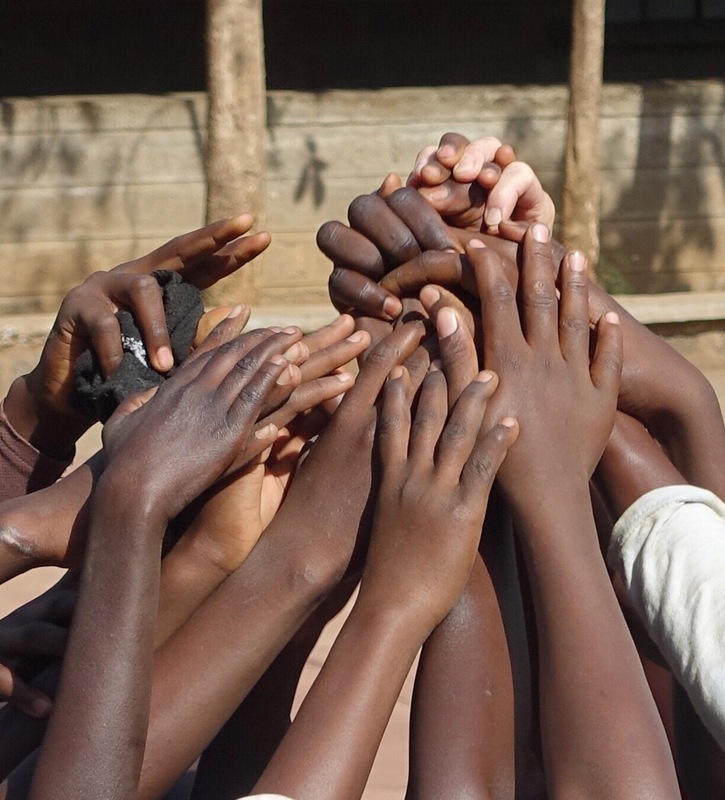 If you are interested in what we do, please look at our website http://canassistafrica.ca We are always happy to receive support, moral or financial, for the work we are committed to do to lessen the effects of poverty for vulnerable East African families. Here is a link to the Peter Singer TED talk. If you have 15 minutes please listen to what he has to say. In an effort to simplify the process whereby CanAssist selects new projects to fund, we set up a six-week application period this spring during which we received 81 very worthy applications for infrastructure funding in communities in Kenya, Uganda and Tanzania. Action for Research and Development (AFORD), Rambira Community, Kenya. School furnishings for three schools. 535,200 KSh ($6500). Luckily, we do have some regular supporters who are eager to help. This week we received a donation from one Kingston family that will look after two of our proposed projects. One of these is to supply sanitation facilities to a wonderful little beach community on the shore of Lake Victoria in Kenya. Over the next few months, I will provide updates and challenges and successes as CanAssist looks ever forward to help communities in East Africa. Stay tuned. This short video outlines the need at the Kamin Oningo fishing village … one we are now ready to move ahead with, thanks to generous and caring supporters. Earlier in the month I posted a blog about the dilemma faces by African girls who attempt to cope with the monthly need for sanitary pads with no money to purchase them. Here is a video of Mama Benta Odhiambo of Kanyala Little Stars on Rusinga Island, Kenya outlining that need. I have also written a complementary article for the Kingston Whig Standard published on April 4, 2013. If you are interested, here is a link to that article.